Their work, published June 11 in Cell Reports online, may ultimately offer new approaches to combat major diseases such as diabetes and peripheral artery disease. A team from Yale Cardiology Research Center collaborated with researchers from Brazil, France, Italy, and Belgium to study sympathetic neurons, cells that play a critical role in regulating the body’s involuntary functions such as circulation, respiration, body temperature, and metabolism. While scientists know that the development of sympathetic neurons relies on the dorsal aorta — the major artery in embryos formed by endothelial and mural cells — the precise mechanism was a mystery. To explore this question, the team observed zebrafish embryos, which have the unique ability to grow in the absence of blood flow and endothelial cells at different states of development. 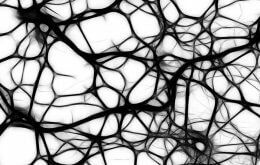 They found that a certain type of mural cell, known as the vascular mural cell, is the critical piece in the sympathetic neuron puzzle. Lead authors Stefania Nicoli and Anne Eichmann (cardiology) discovered that vascular mural cells promote differentiation of sympathetic neurons, and revealed the “rules” that govern interactions between endothelial cells, mural cells, and sympathetic neurons. A disruption of these rules may be the root cause of cardiovascular pathologies, including diabetic neuropathy, heart failure, and hypertension, which affect millions of people worldwide. According to the researchers, this deeper understanding of sympathetic neuron development will enable specific biomedical applications, such as vascular tissue engineering. “By identifying the factors causing mural cells to promote sympathetic neuron differentiation, we may be able to regenerate these neurons,” Eichmann explained.